Frame is original to the piece. 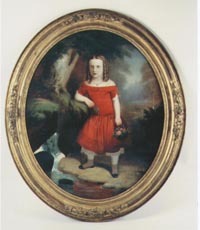 The painting is a young girl standing in a forest beside a small waterfall. Italian period, signed “Hohenstein 1890”.